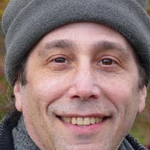 Jonathan Martin is Professor of Sociology at Framingham State University and a longtime progressive third party activist. His teaching focuses on the role of power and inequality in social problems and their solution. Professor Martin’s articles on progressive politics and political consciousness in the U.S. have appeared in “Humanity and Society,” “Equity and Excellence in Education,” “New Political Science,” and other academic journals. In recent decades, he has assisted Green and left-independent candidates at the local, state, and national level. His latest project is entitled Empowering Progressive Third Parties in the United States, which is a collection of writings that explores which electoral conditions and strategies are truly capable of sparking critical breakthroughs by minor parties on the U.S. left. 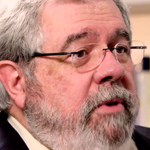 David Cay Johnston is an investigative reporter who won a Pulitzer Prize while at The New York Times for his work reporting on the US tax code. He teaches Business, Tax and Property Law of the Ancient World at the Syracuse University College of Law. Mr. Johnston is also the best-selling author of Perfectly Legal, which prompted the only major policy change by President Bush, who dropped a stealth plan to give a quarter trillion dollar tax cut to the richest Americans. Mr. Johnston also revealed how the very highest income Americans received a much bigger tax cut under President Clinton than from all of the other Bush tax cuts combined. Today, he is going to talk to us about what Donald Trump’s income taxes are likely to reveal about him.